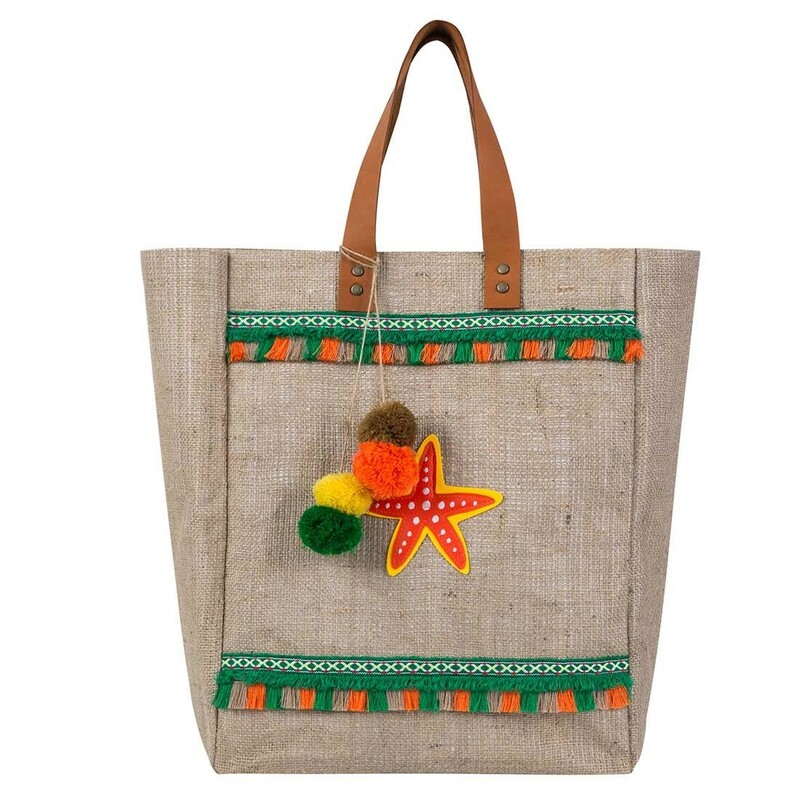 The Starfish tote bag is a mixture of bohemian style and playful details that match perfectly your summer mood. The fine leather straps add elegance durability. 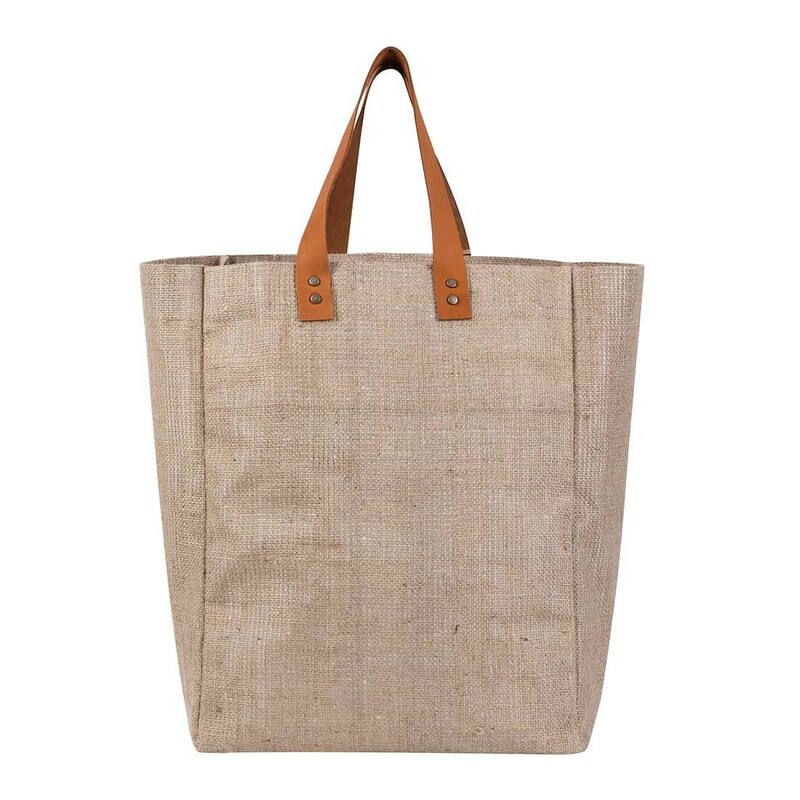 Big enough to fit everything you need with you at the beach and so much more. 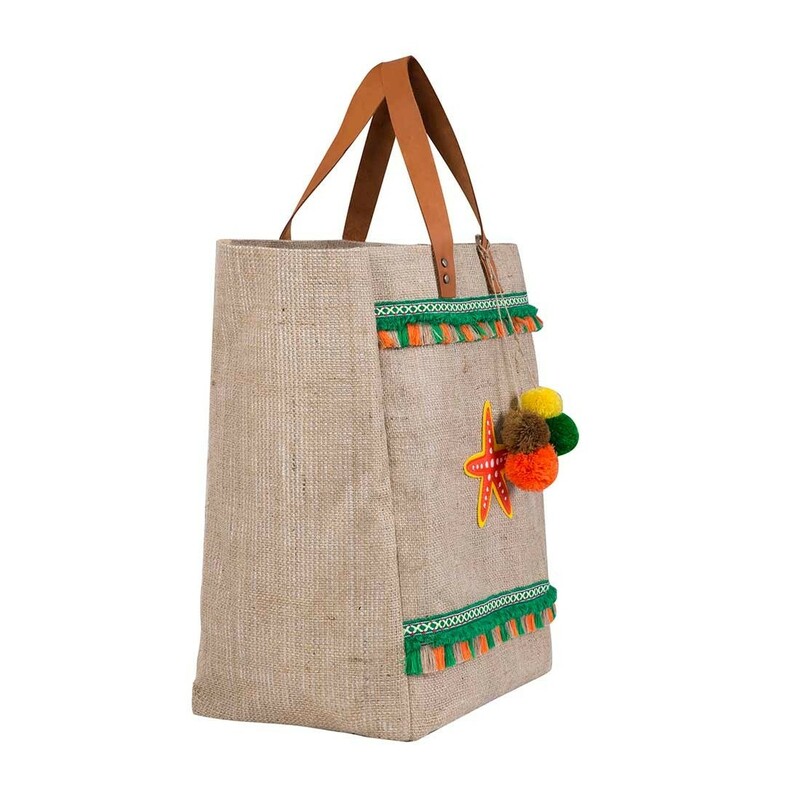 Handmade in Greece, made of natural burlap, leather, pleather parts, decorative tassels and pom poms this tote bag will compliment your summer style.